Hamedan (also spelt Hamadan) is one of those cities where you can stroll through 2,500 years of history in a single afternoon. Cuneiform tablets of Darius I and Xerxes I proclaiming their kingship, Esther’s tomb, Avicenna’s 11th Century mausoleum, and a European style street plan with elegant squares designed in 1929 by German engineer Karl Frisch make up the Hamedan of today. And amidst this eclectic mix of history live a people with a traditionally deep-seated respect for knowledge and the sciences. 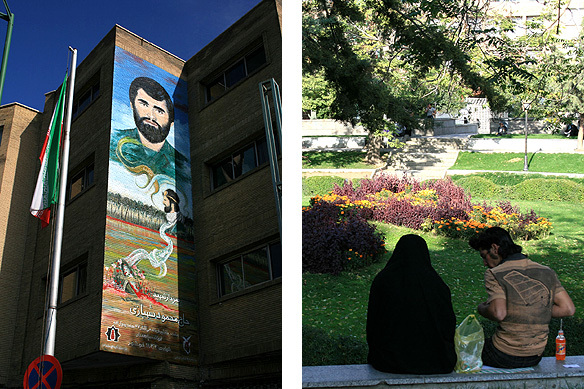 Education is very highly regarded in Iran and literacy is around 80 percent. More than 60 percent of university students are women. 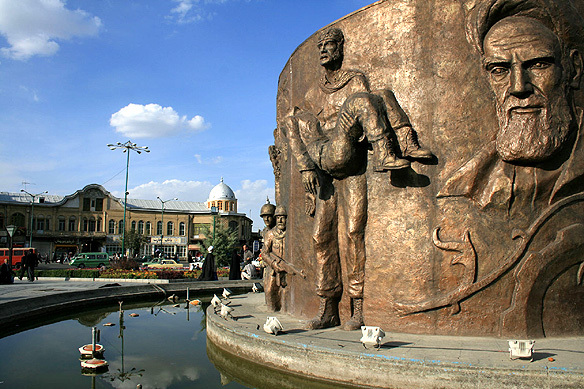 The center of Hamedan is the gigantic Imam Khomeini Square. 19th Century European buildings and Victorian posts line the avenues. Surprised? I was. Hamedan offers numerous interesting insights to the Iranian story, revealing facets to this country not much known. For instance, the Jewish connection. 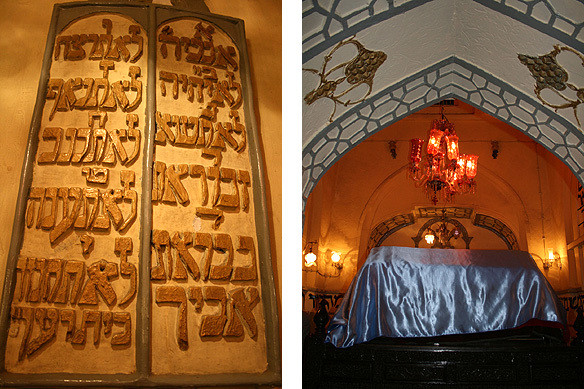 Esther’s tomb in Hamedan is the most important Jewish pilgrimage site in Iran. Jews believe that the sarcophagus contains the body of Esther, the Jewish wife of Xerxes I, who was responsible for organizing the first Jewish emigration to Persia in the 5th Century BC. At one time Hamedan was a melting pot for various faiths. 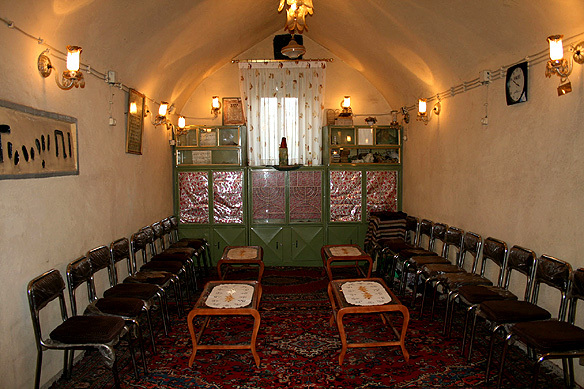 Today there are less than 50 Jews in the city, practicing their faith in the miniscule synagogue attached to the site. The mausoleum of BuAli Sina is Hamedan’s city icon. Better known to the west as Avicenna, BuAli Sina was a famous philosopher and physician in 11th Century Iran, having practiced medicine virtually from childhood. During his lifetime he produced around 250 books, including the medical encyclopedia Canon Medicinae which was used in European universities till the 17th Century. The parks are crowded with chadored women and young men in Elvis Presley hairstyles holding hands and romancing each other. 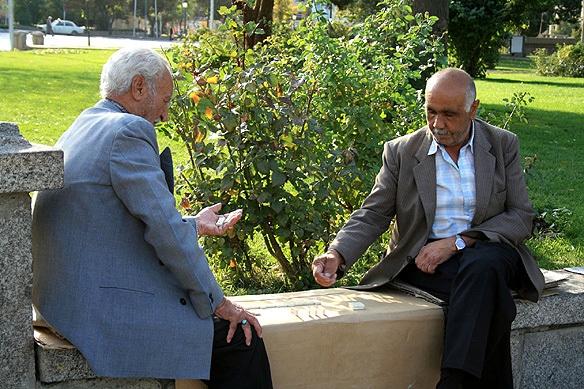 Elderly gentlemen in western suits play traditional dice games as they while away their hours whilst scores of hejab clad, bespectacled young women race through the streets, on their way to the university, holding on to their textbooks and notes and dreams for their future. Hamedan honestly surprised me. Here was a well-developed liberal city in a primarily remote province where a gentle, educated and cultured people were going about their life peacefully, following their own dreams quietly. It was hard to reconcile this vision of Iran with the one that was being continually fed to the world by the western media of an angry, war hungry, fundamentalist nation. And my favourite memory of Hamedan is going to be that of my hotel room. After the red room in Zanjan and the nunnery in Takab, my room is capitalistic, materialistic, decadent luxury with its double bed and silk spread decorated with stars and moons. I plan to sleep like a starfish tonight without fear of falling off the bed in case I turn over in my sleep. Arms and legs and hair outstretched. Heaven indeed. Stars and moon included. 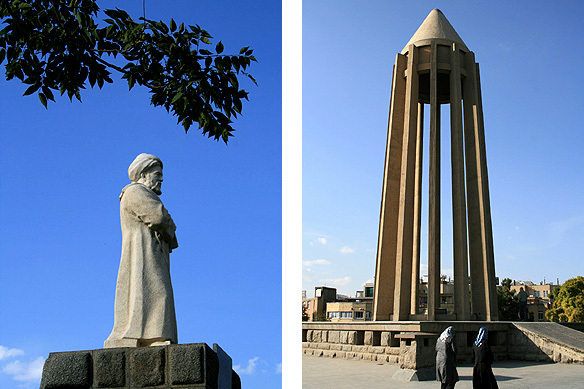 Tomb of Avicenna, Iran’s most celebrated philosopher and physician (11th Century) and the author of Canon Medicinae. Tomb of Esther, the Jewish wife of Xerxes I. Hamedan was once a melting pot of different faiths including a sizeable Jewish community. Today, there are less than 50 Jews remaining. 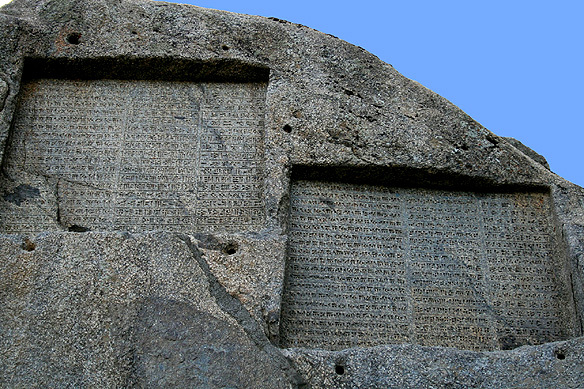 The two Achaemenid stone tablets of Darius I and Xerxes I in cuneiform script, dating back 2,500 years ago, are nestled on the mountains a few kilometers away from Hamedan. The site is a popular tourist spot. 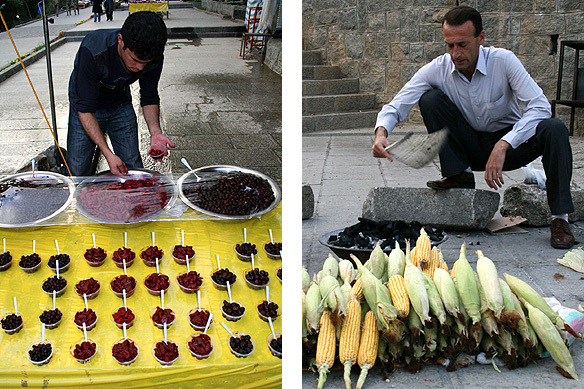 Anyone for a plate of berries or a roasted corn on the cob? This entry was posted in Exploring our World, Iran and tagged Achaemenid, Avicenna, BuAli Sina, Darius I, Hamadan, Hamedan, Iran, Jews, Things to see in Iran, Tomb of Esther, Xerxes I by Rama Arya. Bookmark the permalink.